ProbioSlim Review: Does It Work or Is it a Scam? Home » Dieting » ProbioSlim Review: Does It Work or Is it a Scam? 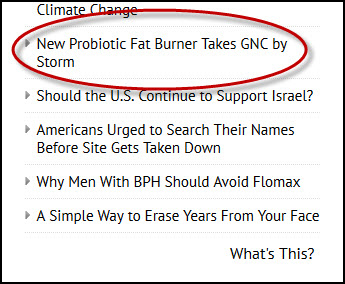 I stumbled across ProbioSlim a few weeks ago entirely by mistake – it was the subject of a “controversial fat burner takes GNC by storm” type advertisement I encountered on a recent surfing expedition. According to the article (if I can call it that), this product has industry insiders “buzzing” with excitement. And, despite its unprecedented success – the article went on to say – things have not been all smooth sailing for the makers of Probioslim. Poor dears, seems they underestimated the demand for a highly effective fat burner, and now are struggling to keep the product on shelves across the country. If you believe this, I have a bridge I’d like to sell you. Of course, this is the point where you – whom the advertisers assume are no more than a complete rube with a purse or wallet – race off in a panic to buy the product before it’s all gone. Of course, there really is no scarcity, and there is no controversy. This is marketing 101. Period. This review will cut away the hype and reveal the truth and illustrate what value – if any – Probioslim offers. 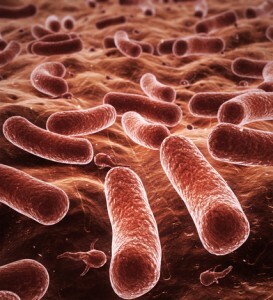 A probiotic (a friendly bacteria) known as Bacillus coagulans that is sold under the trade name of LactoSpore®. Green tea standardized for EGCG. Green tea standardized for caffeine. 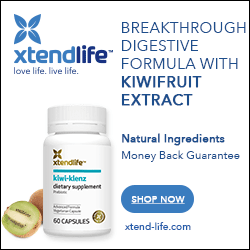 A sprinkling of fruit extracts (kiwi, fig and papaya) of indeterminate dosage that are likely included as sources of enzymes to aid digestion. Probiotics are the friendly bacteria that are found naturally in yogurt, sauerkraut, some soft cheeses, sourdough bread and miso soup. You can also get them from capsules, which you might do after a course of antibiotics. Probiotics have many benefits – increased immune support, reduction in bloating and flatulence, increased bowel regularity, prevention of diarrhea and on and on and on. For the most part, the benefits – at least for common strains – are pretty well documented. What Makes this Strain of Bacteria Better? But in reality, there’s very little published data on LactoSpore® available; there’s a small study showing it aids with abdominal pain and bloating in patients with IBS, and there’s another one showing that it improves immune response, but there’s little more than that. The Natural Medicines Comprehensive Database, which rates effectiveness for supplements based on scientific evidence, says there is insufficient evidence to rate Bacillus coagulans as effective for most common probiotic benefits. Sabinsa, who makes LactoSpore®, presents a series of positive clinical trials on its web site as proof of effectiveness, but none of them show up in a search of the PubMed database – which means they don’t seem to have been published. Very little data is provided – like the study authors’ names for example – that would allow a skeptical consumer to hunt them down and determine how rigorous these various studies’ methodologies actually were. One way Bacillus coagulans may have an advantage over other bacterial strains is that it is more resistant to breakdown. All that aside, customer feedback on this probiotic is generally quite positive, which isn’t that hard to believe. So while Bacillus coagulans may offer benefits “on par” or perhaps even better than more common probiotic strains, there’s no published evidence to support this argument. Arguing one strain of probiotic is “better” than another is a bit disengenuous, because the benefits of probiotics are strain-specific. Bacillus coagulans isn’t really “better” than any other bacteria, because the benefits it offers are slightly different than those offered by other bacterial strains. Whether or not this turns out to be “better” or not, really depends on what matters to you. It’s like you an I having and argument about which is better, an apple or an orange. You might insist oranges are better, because they taste better to you, you like the color orange, and so on. I could argue the exact same thing about apples. We’d both be right. The probiotic portion of this formula has no benefits for weight loss, nor is the manufacturer claiming that it does. In all honesty, I found the inclusion of LactoSpore® a bit baffling, since there are bacterial strains that do show weight loss potential, and this product would be much more helpful if it contained one of those instead. Caffeine (also standardized from green tea). As far as weight loss supplements go, the combination of a properly “standardized-for-EGCG” green tea extract and caffeine is about as close to a no brainer as you can get. As discussed in our full review of green tea, there are a number of published clinical studies that support these effects, including the ability to boost metabolism by as much as 4%. However, as discussed in this article, “How Much Weight Can I Lose with Green Tea?”, this hardly leads to dramatic results. One BIG problem with the Probioslim formula is that its proprietary formula prevents us from determining whether the green tea (standardized for EGCG), or the caffeine are dosed potently enough to mimic the effects of the study. If the ingredients are under-dosed, it’s difficult to determine the value this duo provides to the formula. And unfortunately, we just don’t know. So what’s the take home lesson on this product? There’s certainly nothing wrong with taking a probiotic. Many people find them beneficial for a whole series of intestinal maladies. While there isn’t a lot of published data on the LactoSpore® strain, it’s certainly recognized as being safe, and most published feedback, although anecdotal, appears positive. There’s also nothing wrong with taking the green tea / caffeine combination for weight loss (as long as you recognize the sort of results you can expect). And there’s nothing wrong with taking the two in combination. One could certainly make an argument on the merits of a weight loss / probiotic supplement. However, the problem I have with this product is not its ingredients so much, but its price. A 30-day supply is $60 at GNC. That’s outrageous for what this is. A 30-day supply of Bacillus coagulans for under $15. A potent green tea supplement for under $17. Not only is that almost a 50% savings over Probioslim, but there’s no doubt as to the potency, dosage and standardization of the ingredients, as that is made clear on the product labels. When you recognize that we don’t even know if Probioslim is properly dosed, and it costs twice as much as products that are, it’s tough to recommend the product. P.S. Have you used this product? Leave some feedback in the comments below? We – and our visitors – would love to hear about your experience! PSSST: Like this review? Could you do us a favor and “share it” by clicking on one of the buttons below? It would means a ton to us. You’re very welcome, Catherine! Cheers!